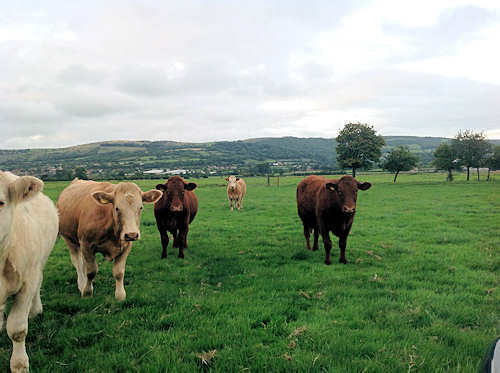 Cattle have been farmed in the UK since the first farmers settled and started clearing the wildwood over 6000 years ago. And believe me, with all the research has been done, it is a eye opener. Initially the cattle were small dual purpose animals, supplying both meat and milk. Recently cattle breeds have become specialised and farmers have concentrated on either the supply of beef or milk. 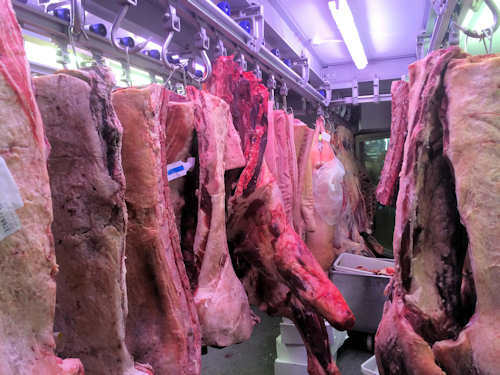 Today around about, 2,200,000 cattle are slaughtered for beef each year. May I emphasise, to the highest standards as possible. These animals consist of steers (castrated bulls), heifers (young females) and young bulls. These animals are born roughly equally to beef and dairy herds. Animals supplied for beef production from the dairy herd are either pure bred dairy calves that are not required to maintain the herd mostly the bull calves, or calves that are born of a dairy cow that has been crossed with a beef breed. These animals are usually sold by dairy farmers on to beef farmers who will grow the animals on ready for slaughter. 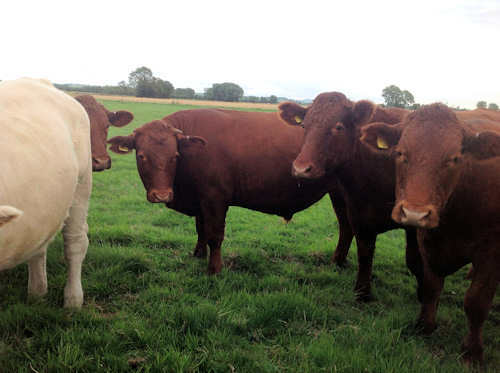 Pure bred dairy bull calves are not particularly suitable for beef production and so attract low prices whereas cross bred bull calves which finish well, are in strong demand. 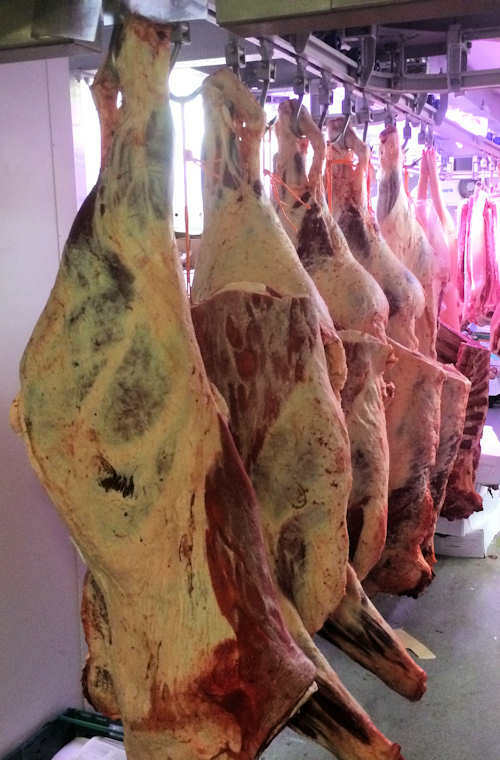 Animals supplied for beef production from the beef herd tend to be borne of beef cows that suckle the calf for between 7 and 10 months normally. After weaning the calves are finished through a variety of feeding systems. Farmers who run suckler beef herds tend to finish their animals through more extensive feeding systems. 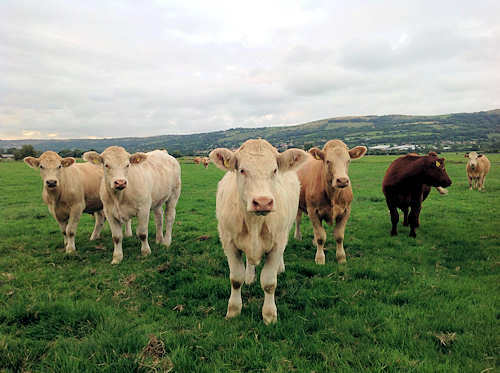 Whatever their origin, animals that are being grown for beef tend to be referred to as calves up until the age of roughly about 6-9 months, a process known as rearing. Thereafter they are known as stores - animals that are suitable for finishing. Rearing and finishing can be done under a number of differing feeding strategies. These can range from extensive grassland systems through to those based on a higher plane of nutrition where the stock consume more concentrate, for example barley, and less bulk feed, grass or silage. 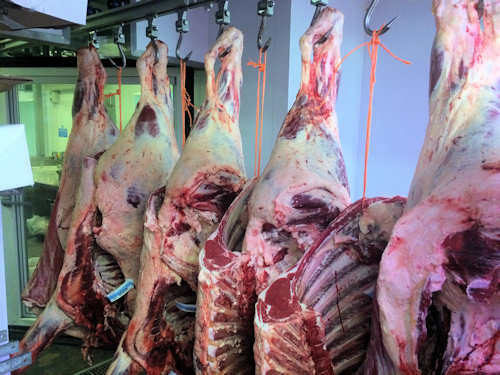 The complex mix of potential rearing and finishing sytems accounts for the wide diversity in the quality and prices of beef products.